April is all about Captain America’s dirty little secret, but Peter Parker will not be silenced in the first week! Spider-Man nabs another “Hero of the Week” title as the new month kicks off but he had to fend off Steve Rogers. 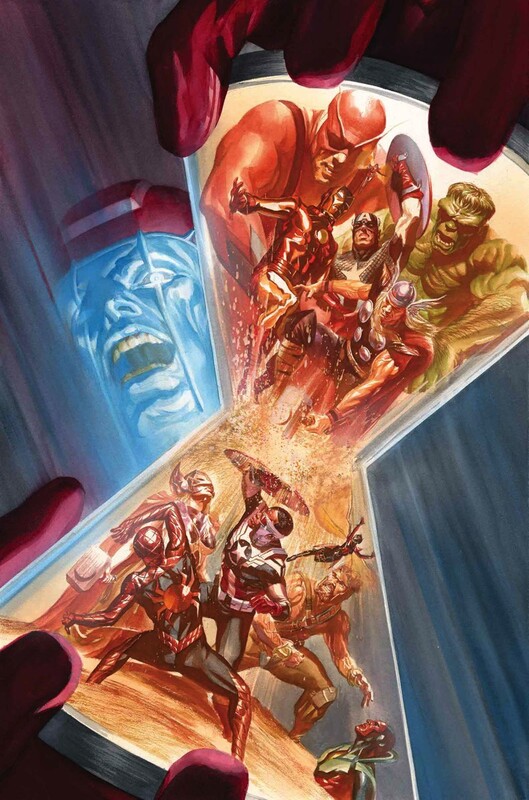 The two heroes finish a time-spanning team up in Avengers as well as both appearing in Captain Rogers’ own title. It is in that Captain America title where Steve Rogers punctuates his rise to the top of the Hydra organization by throwing Red Skull, his long time nemesis, out a window. Champions teammates Nova and Miles Morales also place high in the first week thanks to their team book and their own individual titles. They help the Champions take down the Freelancers, but the pro-capitalism antagonists have the last live as they corrupt the Champions’ message. Deadpool’s marital problems continue, forcing the Merc with a Mouth to side with the villainous Dracula. Hero and power usages are a combination of both the Midtown and Wakanda Fantasy Comic League divisions. League participants should cross reference the official points with their hero roster and drafted powers for their heroes’ scores. Please make sure to tweet any questions or comments to the official #FantasyComicLeague tag and @MixedMarvelArts for discussion!